Business simulators are a variant of games that occupy leading positions in demand. Economic games and business simulators are an excellent way of spending time, when you can entertain yourself and acquire useful skills simultaneously. Now the Internet offers a huge number of games variants of this popular direction for every taste. 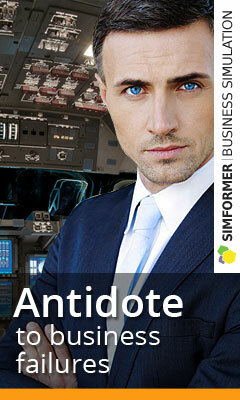 You can play games – business simulators download or play online. This is your choice! Each option has its advantages and disadvantages. So, the business games that you need to download require installation and are linked to a specific computer. However, in this case you are not tied to the availability of the Internet. You already have the game, open it and play it. Download such business games is not difficult, enough to drive in the search engine – a business game download. And then just choose the option “to your liking”. And, if you consider the option of online games, then there is no binding to a specific computer. You can play anywhere, just just have internet, login and password. Most of the online games have a mobile version, that is, you can play in any place convenient for you. At the same time on-line business games have a huge list of offers, ranging from simple toys, located in social networks or on special playgrounds, and ending with complex, multifaceted strategies. If, business games that require downloading and installation, are focused on one particular area of ​​activity, then some on-line business simulators are whole virtual worlds. As, for example, Virtonomics is the best economic online strategy game. Business simulator, which immediately presents all the main areas of activity. Do you want to engage in agriculture or trade, and maybe you are interested in energy or extraction of resources ?! For this, it is not necessary to search for a game with a specific specialization, all this can be developed on the Virtonomics platform. 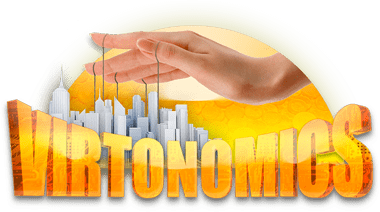 In addition, Virtonomics has various game spaces that differ in type and basic characteristics, the level of development of the economy, the range of goods, geography, etc. Another plus in the piggy bank online games is a live competitive environment. Your competitors, competitors and partners are living people from different parts of the world. Although the game itself is virtual, the actions and moves of the players are real. It is because of this that the game acquires a non-linear character. If you download a business simulator, then you will have to play with a “computer”, and therefore miss the opportunity to learn in a real environment.